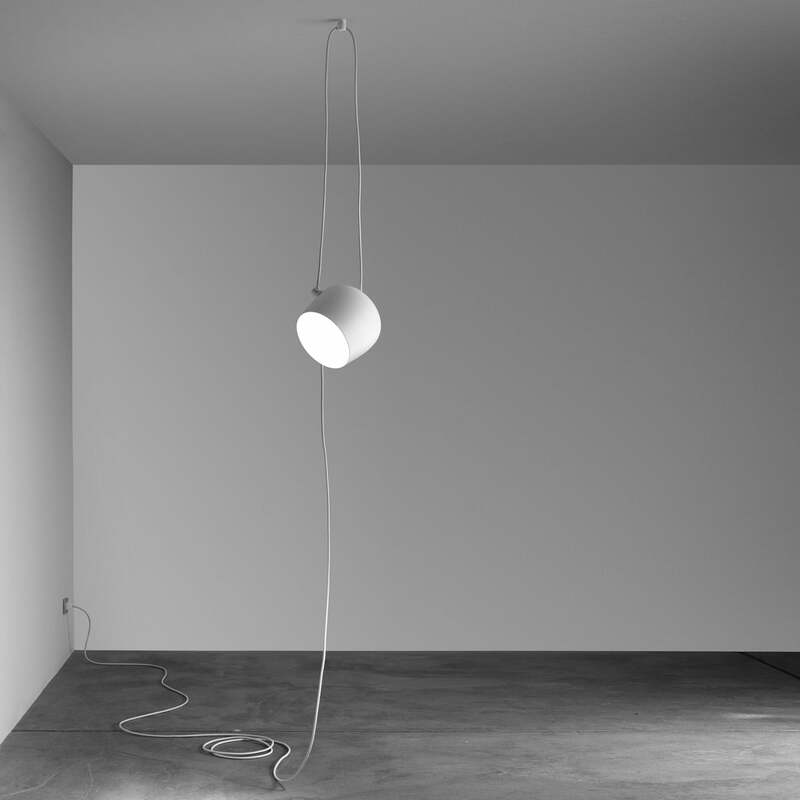 The AIM lamp by Flos is a revolutionary pendant lamp, which harmoniously unifies aesthetics and functionality. The AIM lamp by the brothers Ronan & Erwan Bouroullec for Flos questions at least two maxims of light design. The first one of these maxims, regarding ceiling lamps, is without a doubt the geometric centrality of the light source: Pendant lamps must hang high, at the intersection of the diagonal of a room. AIM is different: it moves far from such traditional rules and enables free installations of the light source, regardless of the centre of the room. The pendant lamp can easily be placed at any spot on the ceiling with a hook. It is connected with a plug at the end of the cable. The second maxim refers to the aesthetic of the cables. The cable – traditionally a functional element – is upgraded to a central aspect of the lamp with a clear aesthetical shape by the Bouroullecs. The AIM lamps collection by Ronan & Erwan Bouroullec is available in different versions.